Flint’s biggest outdoor rock festival just got bigger… 7 bands bigger to be exact. 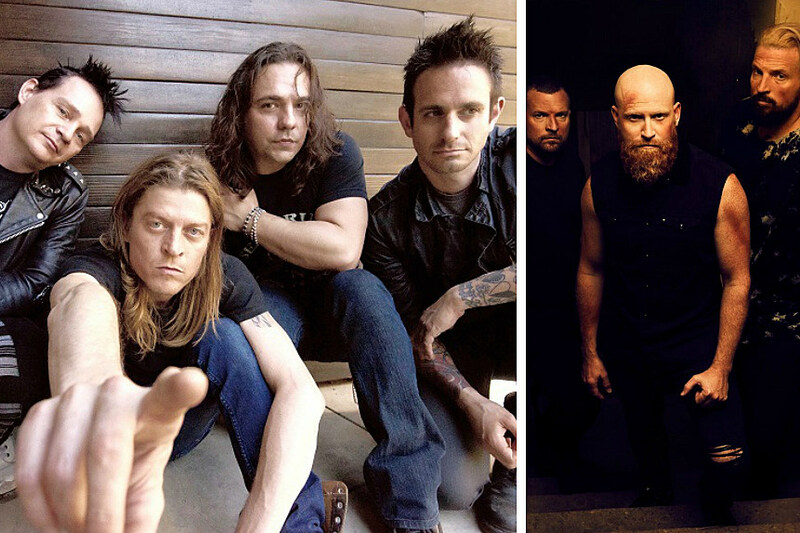 We are pleased to announce that addition of Puddle of Mudd and RED will be joining the likes of Seether, Theory of a Deadman, and 10 Years as main stage performers at Loudwire Live 2018. Puddle of Mudd have sold over 7 million records and have a catalog full of rock radio staples like Blurry, She Hates Me, Control, and Psycho. The Grammy-nominated RED burst on to the scene in 2006 with their hit single Breathe Into Me, and have since established themselves as a live rock powerhouse. This year’s festival has a Michigan stage as well, that will feature performances from headliners Wilson, along with No Resolve, Kaleido, Avalon Black, and Red Stone Souls. Loudwire Live takes place Friday, August 10th in the parking lot of the Dort Federal Event Center. General admission tickets are on sale now via Ticketmaster for just $20 $25 (plus fees unless you buy them at the Dort Federal Event Center box office), with a limited number of VIP tickets still available for $71 a piece (+ fees) while VIP for this year is completely sold out. Loudwire Live 2018 featuring Seether, Theory of a Deadman, 10 Years, and more! It appears that you already have an account on this site associated with . To connect your existing account just click on the account activation button below. You will maintain your existing VIP profile. After you do this, you will be able to always log in to http://loudwirelive.com using your original account information.